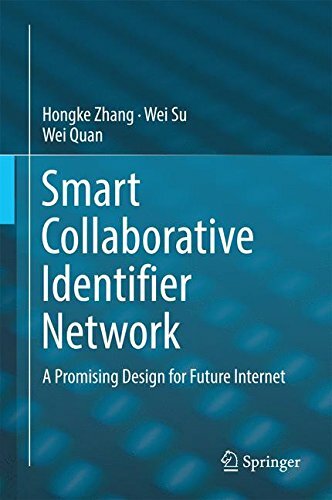 This book introduces a promising design for future Internet, the Smart Collaborative Identifier NETwork (SINET). By examining cutting-edge research from around the world, it is the first book to provide a comprehensive survey of SINET, including its basic theories and principles, a broad range of architectures, protocols, standards, and future research directions. For further investigation, the book also provides readers an experimental analysis of SINET to promote further, independent research. The second part of the book presents in detail key technologies in SINET such as scalable routing, efficient mapping systems, mobility management and security issues. In turn, the last part presents various implementations of SINET, assessing its merits. The authors believe SINET will greatly benefit researchers involved in designing future Internet thanks to its high degree of flexibility, security, manageability, mobility support and efficient resource utilization. About: This book introduces a promising design for future Internet, the Smart Collaborative Identifier NETwork (SINET).